A country that only recently opened its borders to tourists already became a popular travel destination. 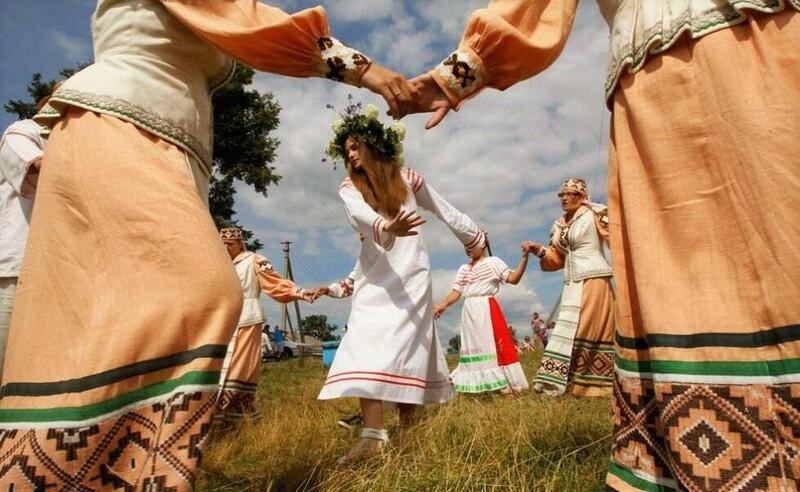 Belarus is a country of undiscovered sights that attract more and more international travelers. To help you choose out of the wide variety of tourist attractions in Belarus, we chose our top 5 of diverse places after visiting which you can already feel that you took a dip into our country and its culture. Learn more about Belarus main attractions and plan your perfect trip using our travel planner! 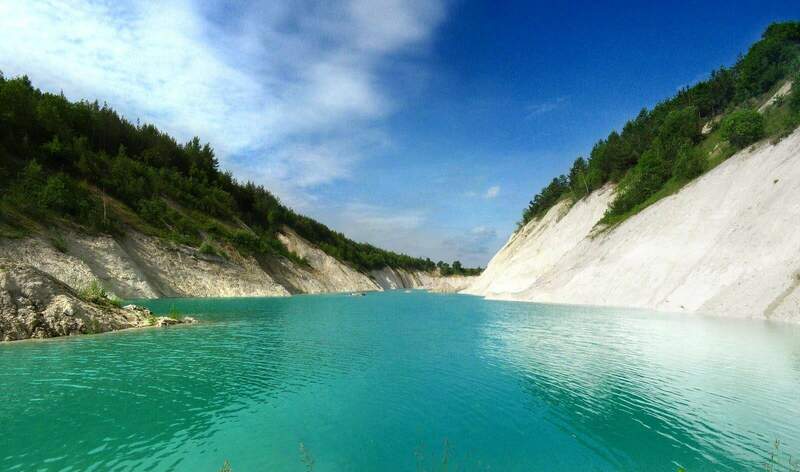 We will start with such a great landmark as chalk quarries, or as they are often called 'Belarusian Maldives'. After seeing this place, you'll want to stay here forever! The azure water, beautiful landscapes and a very special atmosphere that will not leave you indifferent. Interesting fact: nobody knows exactly, what is the depth of chalk quarries. So, there is a legend about a drowned crane that can be seen at the bottom of one of the quarries in sunny, calm weather. 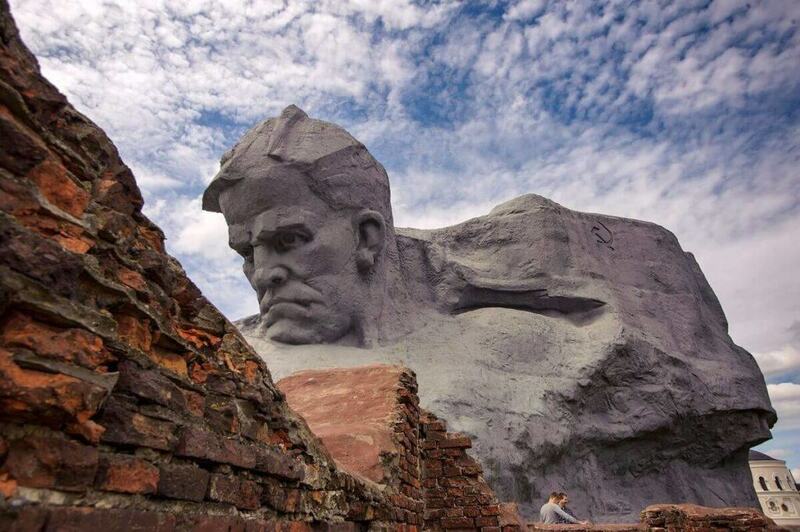 This greatest Belarus tourist attraction is situated close to Volkovysk, near the town of Krasnoselsky. The quarries gained its feature, as you might have guessed, from the soil. Namely, from chalk, which gives the water such an unusual color (from azure-turquoise - to emerald green). The edges are framed by high slopes of white color, as well as wild vegetation that descends directly into the water. However, it should be noted that at the moment the chalk quarries are closed for visiting. We hope that in the future this unusual object will be available for recreation. The best way to get to the chalk pits near Volkovysk is by car. 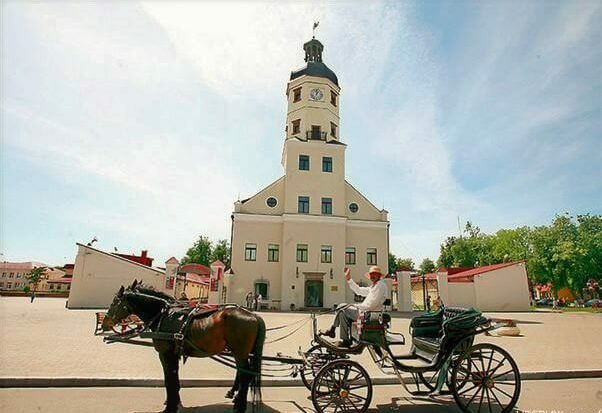 You can also get to Volkovysk by train or bus, and then by bus to the Krasnoselsky village. At the end of the article, you can find a map with Volkovysk chalk pits and other Belarus tourist attractions mentioned in this article. 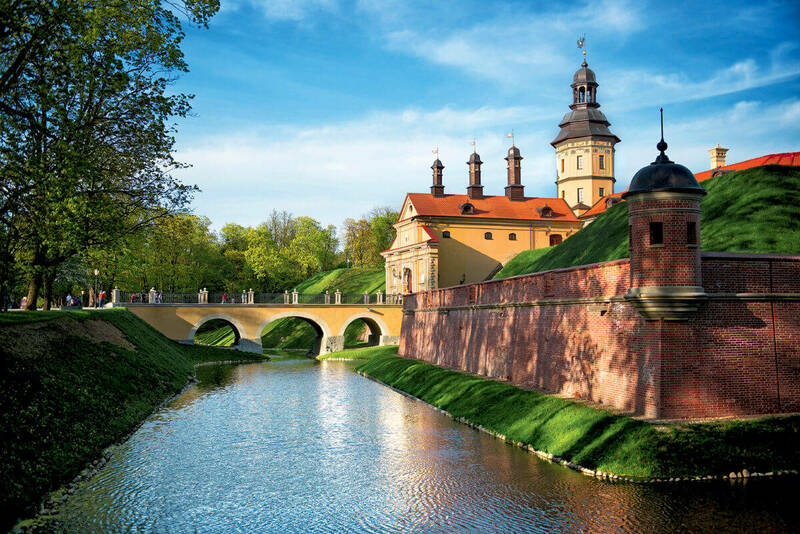 Nesvizh Castle is one of the most popular Belarus tourist attractions and is a UNESCO World Heritage Site. The majestic and diverse architecture of the palace, magnificent landscape parks, ponds, the river - all this makes the Nesvizh ensemble a unique place of pilgrimage for the majority of tourists coming to our country. In the architecture of the palace and its interior decoration, you will find such styles of architecture as Renaissance, Baroque, Rococo, Classicism, Neo-Gothic, Modernism. 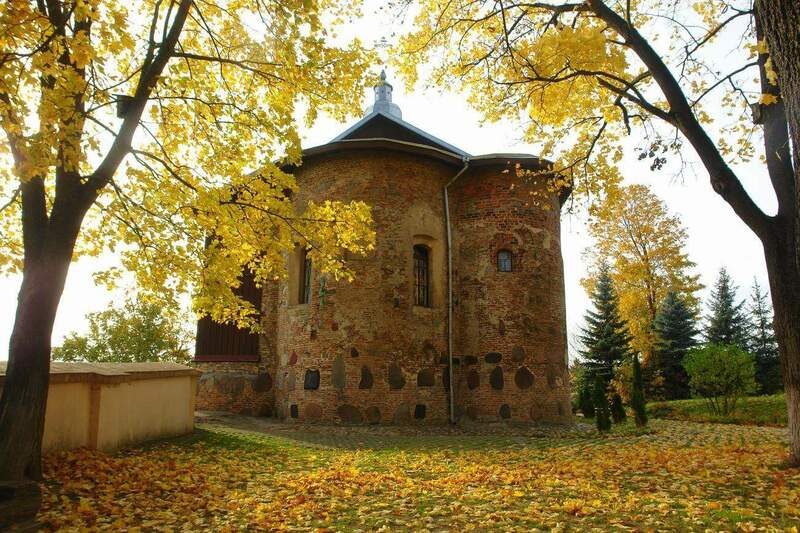 You can find out more about palaces and castles of Belarus in the corresponding article. Interesting fact: there is an unusual legend about the Black Lady of Nesvizh, who has been living in the castle for more than 400 years. She always appears in a black dress as a sign of mourning for her ruined love. For those, who like not only watching but also participating, there are various options and activities that will help you to plunge into the atmosphere of the Middle Ages! The market square with the town hall - the oldest one preserved in Belarus. You can climb it and view the city from the height. Nesvizh Benedictine monastery, founded in the 16th century. Nesvizh church of the Jesuits (Farny Church) is the family burial vault of the Radziwill princes. Slutskaya Brama is the gate that greets visitors entering the city. From Minsk to Nesvizh you can get by bus, but the fastest way by car. The journey takes about 2-3 hours. For those who want to stay in the city longer, walk leisurely along its streets, enjoy parks of the palace and park complex, there is a hotel in the center of Nesvizh. At the end of the article, you can see the location of the Nesvizh castle and other Belarus tourist attractions. 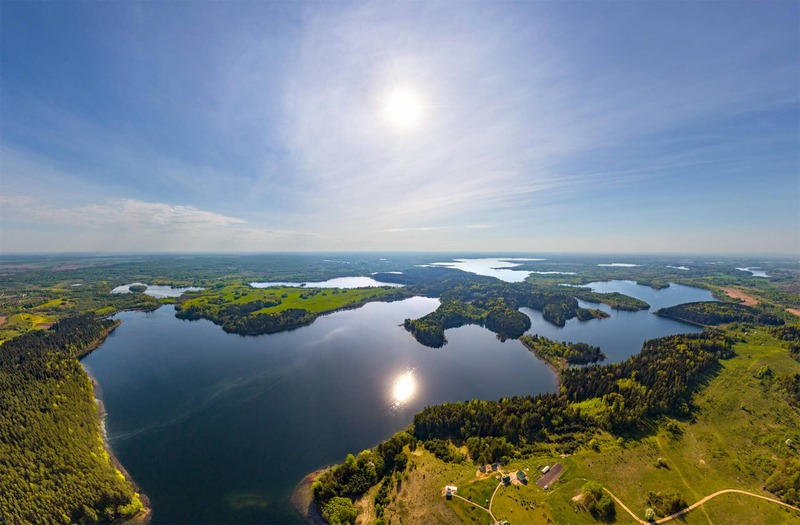 Naroch National Park is the youngest national park in Belarus, and Naroch is the largest lake in the country. Numerous recreation centers, hotels, and sanatoriums were opened for tourists on the shores of the lake. This is a golden place for connoisseurs of nature and solitude. It also brings lots of tourists visiting Belarus. Naroch National Park is the most important health resort in the country and one of the main Belarus tourist attractions. Thanks to the richness of flora and fauna, as well as crystal clear water, and natural sources, this place constantly attracts a large number of tourists. But thanks to the vast territory, you absolutely don't notice that. But, do not forget that Naroch, first of all, is a reserve, and there are limitations, neglecting of which can lead to punishment. So, fishing lovers should buy a ticket for fishing or camping in the office of the forestry. 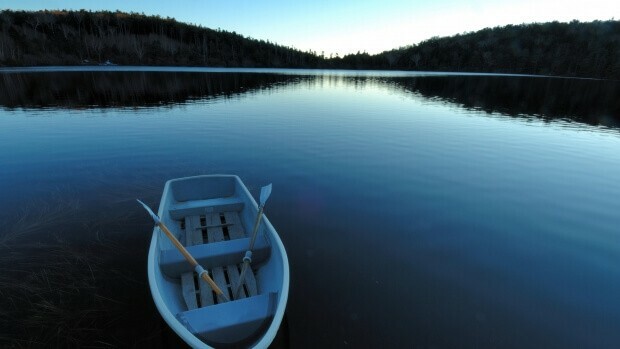 Prices are quite low, affordable for any tourist, and you can safely enjoy fishing. It is not recommended to swim in the wild places of the park, on unequipped beaches - it can be dangerous! Interesting fact: there are thirty-six natural landmarks of national and local significance in the Naroch National Park. Naroch Park is the best place for farm holidays and agritourism lovers (which is, by the way, the most popular way of recreation in Belarus). 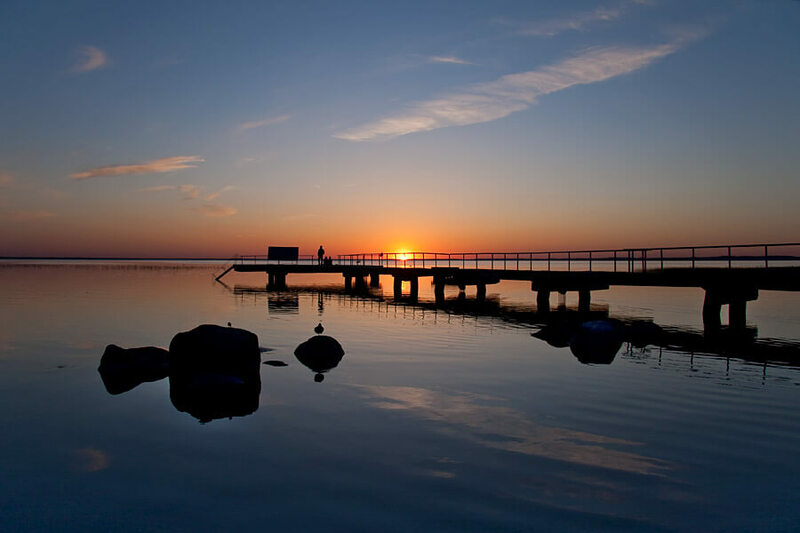 Plan your trip to Naroch National Park with the help of our map in the end of the article. Have a nice stay! The best way to get to this beautiful sight is by car. If you do not have one, search on the Internet, on social networks, forums. You can find many discussions where people offer car sharing, which means that you can go with them paying for part of the gasoline costs, or just free. You can also use the bus, but the way from Minsk will be long, and it will be necessary to go a long way on foot. 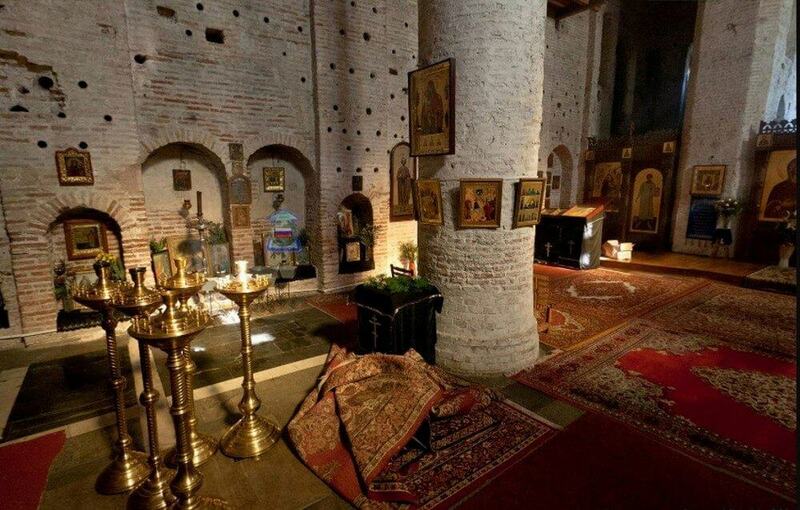 For antiquity lovers, it is worth to visit the only building on the territory of Belarus of the period of Ancient Rus, the Kolozhskaya church. 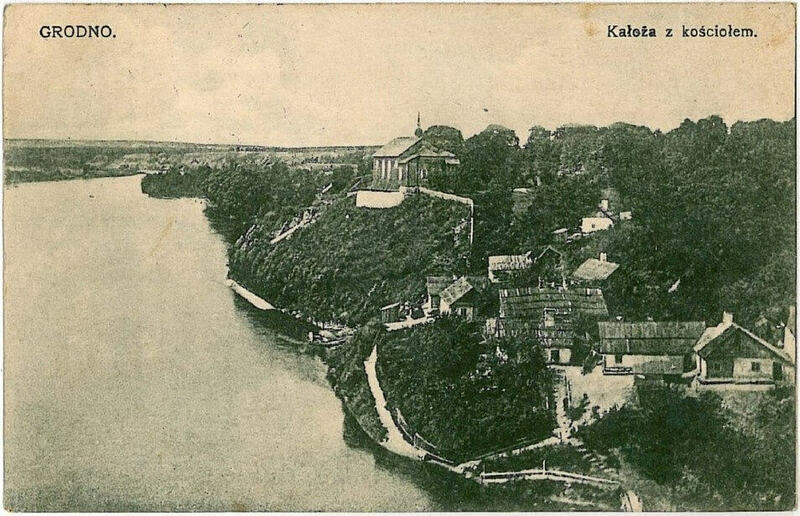 It is located in Grodno, on the picturesque high bank of the Neman River. Together with the complex of monuments of the Castle Hill, it is declared as a historical and architectural reserve of Grodno. In itself, this attraction is unique and you understand it only by getting here. After all, the preserved building is almost 10 centuries old! Borisoglebsk church is a unique example of ancient stone architecture. Its walls and facades are decorated with insets of large polished stones and multi-colored tiles, which form crosses. Borisoglebskaya church will also be interesting for pilgrims: regular services are held here and church ordinances are performed. The temple is very popular with locals and visitors. A unique feature of the Kolozhskaya church is a multitude of ceramic vessels-resonators that are built into the vaults of the walls and come out with their necks outwards. Thanks to this, for many centuries the room retains excellent acoustics and church choir sounds really well. 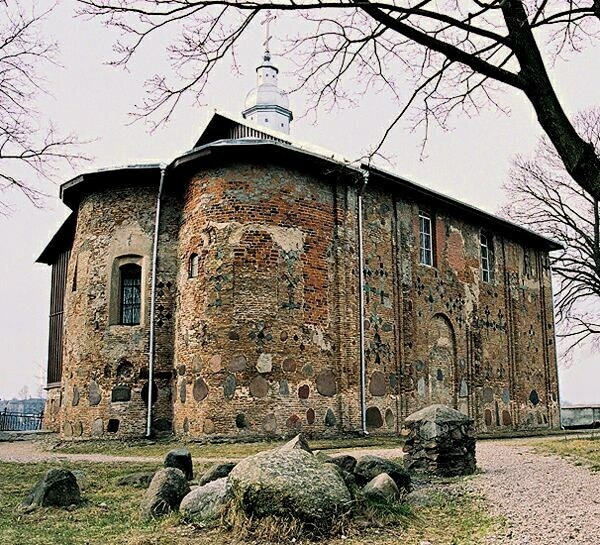 Interesting fact: there is a legend that a well-known commander David from Grodno is buried near the walls of the Boris and Gleb church. At the moment, this fact is not confirmed, but not disproved. It is very easy to get to the Kolozhskaya church, it is located in the central part of the city of Grodno (any public transport from the main station). This is a Belarus tourist attraction definitely worth visiting. Come here to feel the unique energy that comes from these strange, but powerful walls! Probably every inhabitant and many guests of the country are familiar with this landmark of Belarus located in the city of Brest, in the southwest of the country. But if suddenly you have not been to this place, then it's worth to visit it! The fortress is the most popular Brest and Belarus tourist attraction, a symbol of Soviet resistance during the Second World War. Interesting fact: for a long time there was a prison for political prisoners and nationalists in the fortress. Today, on the territory of the fortress there is a memorial complex "Heroic Brest Fortress", which includes the "Courage" monument, obelisk-bayonet, Ceremony Square, "Thirst" sculpture, burial of the deceased, ruins, left parts of the fortress and a museum. The memorial complex itself begins with the main entrance in the form of a huge five-pointed star cut in concrete. Here constantly sounds the "Sacred War" song of Alexander Alexandrov, and the message about the attack of German troops on the Soviet Union. Interesting fact: a red stone from the ruins of the Brest Fortress was discovered in the office of Hitler after his death. He took it after conquering the Fortress in August 1941. Also, on the territory of the memorial complex, there is another unique object, the archeological museum "Berestie". As a result of the excavations, a village of the XI-XIII century was discovered, which later became a museum. Under the ground were found: wooden houses, pavements, sheds, palings, as well as a large number of household items. 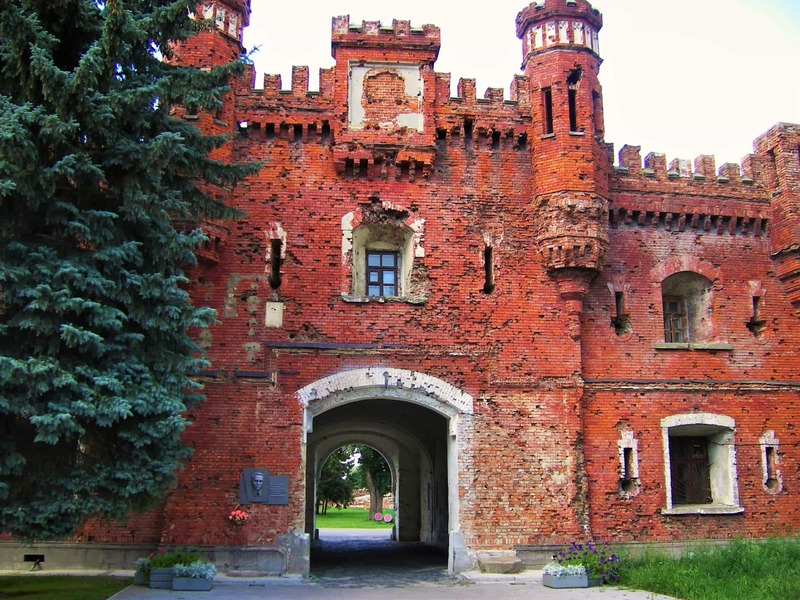 The Brest Fortress can be reached on foot from the city center in half an hour, or by public transport going to the Museum of Railway Engineering. Be sure to visit the Heroic Fortress! This was our list of the Top 5 Belarus tourist attractions. Belarus has much more great places to visit, but if you have very limited time, we recommend you to visit them. You can also read more about different cities and natural landmarks of Belarus on our website. Don't hesitate and Plan your trip to Belarus right now!